Style takes time!? Yes and no, when it comes to Markus Reugels’ pictures. 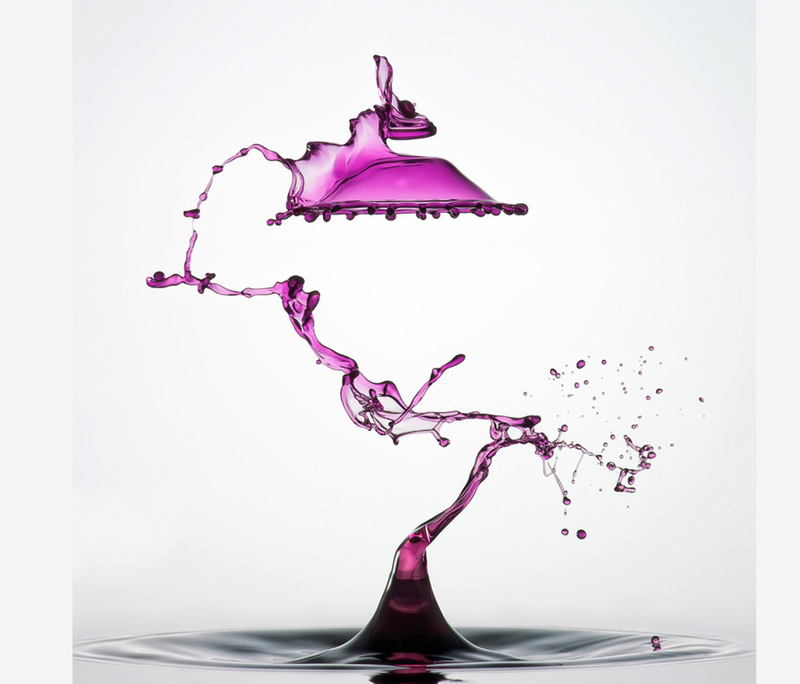 The preparation takes a hundred times more than the actual shot…well you might say now that that is typical for photography, true, but we are talking here about high speed photography in perfection! 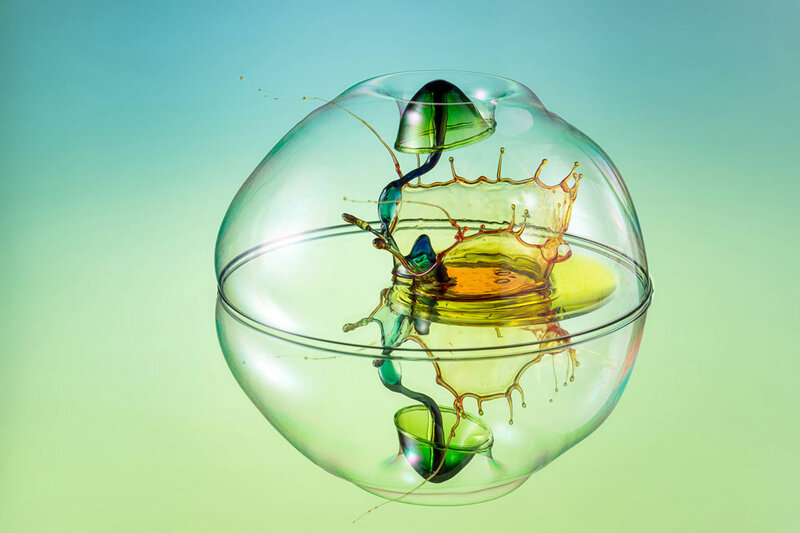 Capturing the one moment – the split second – when a water drop touches water’s surfaces, is definitely worth some preparation. What makes Reugels’ “liquid art” so special are the colours, the lighting he uses to create the amazing multi-coloured pictures. What looks like editing is the result of perfect manual handling of light, colour, water and camera – photographic craft and style at its best. And yes, this is water! Markus Reugels, a German photographer, was born in 1978 and started to photographing “only” to capture special moments in his family life, but turned luckily into a hobby, lets hope he goes professional. 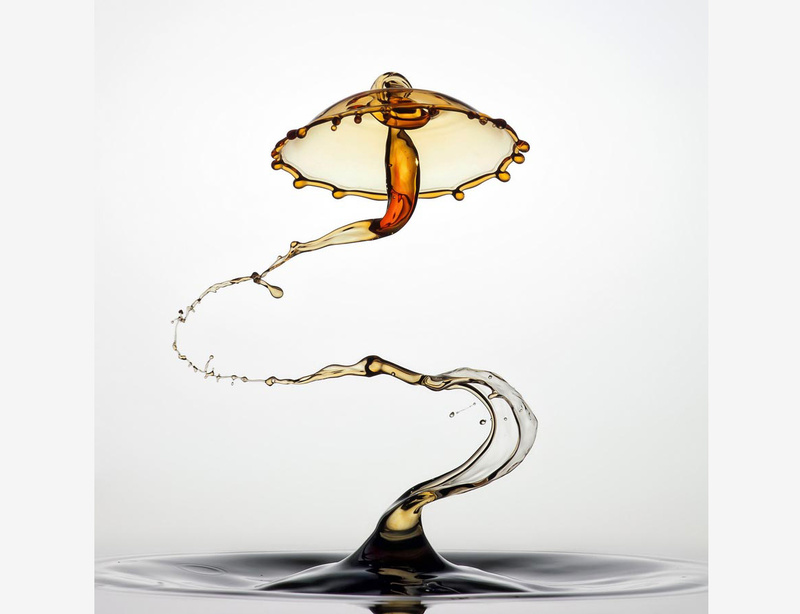 Besides the water drops Reugels is working on macro photography at the moment, shooting insects and flowers. Check out the Interview to learn more about Markus Reugels and his work, ideas and intentions! Thanks for sharing, Markus! I use a Sony Alpha 77 with a Minolta 100 2.8 Macro lens. As Flashes I only use old Vivitar 285 with a little modification to reduce the power lower than 1/16. For the precise timing of all valves, flashes and camera trigger I use the GlimpseCatcher. The timing device makes not the pictures; it is only the key to realize such complex images. With photography I can show the small things in the world we don’t recognize without photography. When I make an extreme macro of an Insect, you see that in the smallest things, nature spends lots of care to perfecting everything. Why do you concentrate on still lives ? I find photography has so many genres, I don’t like fashion, street or people Photography. I want to take unique pictures which the most people don’t know how they are made. 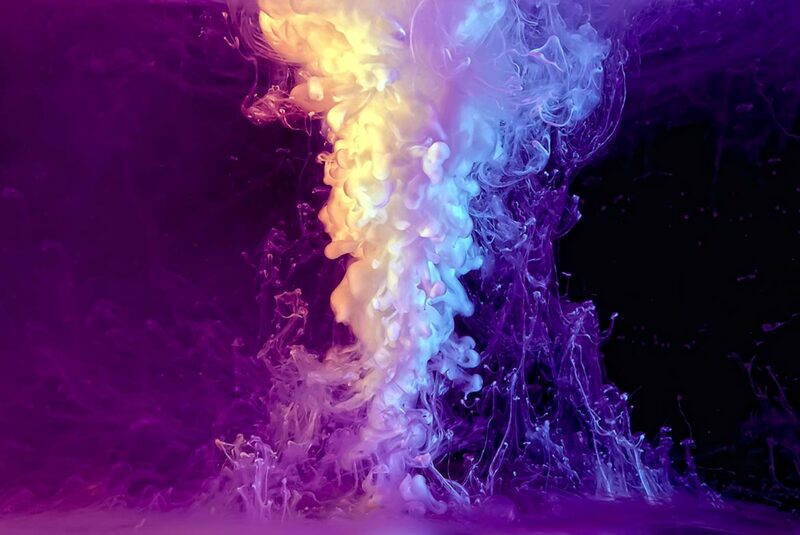 To work with the fluids is an endless way of different techniques. I love to test and experiment with lots of things, and here I can live my passion. How much percent of the time do you spend on the research, the editing and the actual “taking“ of one of your photographs? Normally I spend for a shooting about 2-3 hours. Here I take maybe 300 pictures, but only 2-4 will be processed for the publication. With the time I developed a big standard to my pictures and don’t show just ‘good’ shots. They must be real stunners. The processing of the pictures is very basic. I adjust the levels and contrast. With the healing brush I clean up some sensor dust and little sprinkles. I don’t manipulate the colours or shape. Why do you prefer colour photography? To work with colours is a great way to get harmony in the picture. The Water drops themselves are very silence and relaxing for me. And when the colour combination underscores this, then it’s a great picture in my eye. 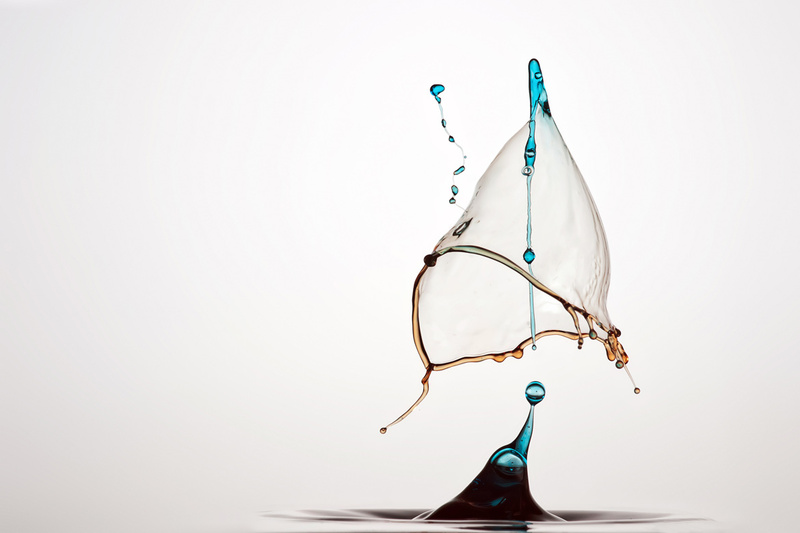 In the High speed photography it would be very expensive to work with analogue cameras. With the digital camera I can easily erase the outtakes without any cost. And I have full control by processing the RAW Files. How would you describe your look / your style (in five words)? At the moment I work with some commercial clients. Maybe in the future I can make photography as full time job. The most formed advice I have received is: ”I must lay down the engineer to sleep and awake the Artist in me!” It was a great advice. Because sometimes I took more care about the technical perfection, than about the composition and colour combination. I think in the first step it’s very important that you have fun with the camera, no matter what other people say about your pictures. But it’s important to get critique, you can’t work on your skill when you don’t accept advices. In my photography I shoot into nothing. I see the results after the picture. So I must take what I get. With my knowledge about the water dynamic I can influence the result in a little way. But a real perfect picture is very rare, so I must take about 300 to get a real perfect image in my eyes. The shape must be very special, when the colours work for the image too. It’s a big picture. After the session I take a look at my images and when I see the picture with a WOW effect in my head. Then it’s special for me. We all must see the World more like through “the child’s eye” and see in the little things the beauty. In our fast world, we lost the sense for these. I want to take the people who look at my pictures into a small wonderland of the split second from simple water drops. These are Magic Moments for me. See more of his amazing photos.